UCI Diploma of Cycle Coaching. Cycling Australia Learning and Development Co-ordinator. Developing and delivering Cycling Australia coach and commissaire education courses Nationally and Internationally. Experienced and successful Australian Based Cycle Coaching for Road & Track Cycling, Cyclocross & Mountain Bike. Greg, a High Performance cycling coach and rehabilitation fitness instructor at Northeast Health Wangaratta specialising in neurological rehabilitation science, works toward assisting people to achieve results initially thought to be impossible. Program development following establishment of achievable goals leading to successful health, personal and sporting goals is a priority of Halkswood Training Systems. 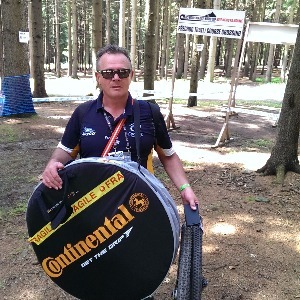 In 2014 Greg completed the Union Cycliste Internationale Level 2 mountain bike coach qualification in Aigle, Switzerland and has worked with Mountain Bike Australia in the development of the Australian based and State based Junior development camps. A seasoned presenter and educator to the health professions and trainee level 1 & 2 coaches nationally and internationally keeps Greg up to date with trends but more importantly, best practice and ultimately the production of champions. During 2016 Greg completed Diploma studies through research at UCI Aigle, Switzerland and is a commissioner with the Cycling Australia Coaching Commission as well as the co ordinator of Learning and Development for Cycling Australia. Success. Coach Greg Meyland has been notified of your message.